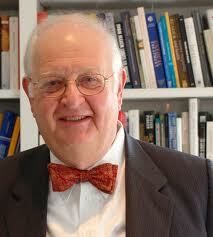 Angus Deaton, who recently received the BBVA Frontiers of Knowledge Award, is in my pantheon of professors. No one in my graduate school gave me better tools to understand the world than he did. His class in cost-benefit analysis in 1983 enabled me later in life to hold my own with the world's top experts in the area (and it has informed my skepticism about the current emphasis on metrics in aid and philanthropy). I regret I did not devote more effort to his econometrics class - but even half my attention gave me more understanding of that discipline than many practitioners have. In this day and age of one silver bullet after another, Angus stands out as a sober source of intelligent insight and perspective - especially related to the latest fads. I was lucky enough to get a very good education before I started my working career, and it was professors such as Angus Deaton who gave me the skills to do what I am doing today. For that, I am exceptionally grateful. What do great companies do when they make a mistake? They fix it. They don't stonewall. They don't send form letters saying "We value customer feedback." They fix the problem. And when they do, even if it is costly, the returns to them in terms of customer loyalty is huge. Last year, Jawbone released UP, a highly anticipated "revolutionary" wristband that promised to "track your daily activities and inspire you to be live a healthier lifestyle." The initial reactions were positive - the wristband itself is stunningly beautiful, and the features included were very cool. Some users loved it. But others found fatal and/or highly annoying flaws in the details of its design and functioning, and they made an uproar about it. In response, Jawbone did not hunker down. Jawbone did not go into denial, or say that the problems were due to user error or misunderstanding. Instead, Hosain Rahman, Jawbone's CEO, took the extraordinary step of posting a letter on the web site that said, in part: "While many of you continue to enjoy the UP experience, we know that some of you have experienced issues...Given our commitment to delivering the highest quality products, this is unacceptable, and you have our deepest apologies." When you see a company do this, you know that it is on the right track for the future. You want to buy more of their products. I just bought a Jambox speaker from them with my refund. And who knows, I may just buy some stock in the company. This past year I have been spending a couple of days a month at UNC-Chapel Hill as "Global Social Entrepreneur in Residence." It's a pleasure to be able to give back a little bit to my alma mater. This place is bursting with creativity and energy. The students, smart and motivated, are not waiting for permission to launch all sorts of initiatives aimed at improving the world. The faculty and administration, to their credit, are devoting great energy and resources to supporting the entrepreneurial spirit of the students while also maintaining standards of academic excellence. My days here are packed with meetings with students seeking advice on their ventures, classes designed to give students the tools needed to succeed , and meetings with faculty who are thinking up new ways to make the soil even more fertile for innovation in Chapel Hill. Each day I am here makes me prouder to be a Tar Heel. As I wrote earlier, to the extent that I have achieved anything in life it has been because of the help I have received along the way. Nothing illustrates this better than the scholarship I received from the Morehead-Cain Foundation that brought me to UNC in 1979. 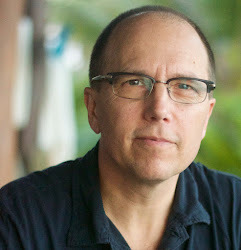 The Foundation paid not only my tuition and living expenses but also provided resources for me to do several internships - including an extended stint in Kenya and Nepal - that put me on the path I have been on my entire professional career in international development. Tomorrow I will spend a bit of time at the Foundation offices and get a chance to see Chuck Lovelace, the Executive Director, and Megan Mazzocchi, Associate Director. They have both helped steward the Foundation since the mid 1980s, through financial times both thick and thin. Like the University itself, the Foundation is thriving now, better than at any time in its history, and Chuck and Megan (together with the extraordinary Trustees and benefactors) deserve huge credit for what they have achieved. But above all, they deserve my thanks. I hope I will live long enough to repay what they and others at the Foundation have done for me.